Bedside Medication Carts: These carts are utilised for moving medical supplies to individual patients. They are affordable and hence are ideal for health centers working on a limited budget. There are various sizes available for convenience. Crash Medication Carts: These are used for transporting medical supplies and equipment to emergency sites. Emergencies require prompt and quick action and these medication carts enable you to do so. Crash medication carts are designed to store drugs and equipment vital for resuscitation and life-saving protocols. Treatment Medication Carts: These hospital medication carts are vital for carrying supplies and medication for treating wounds and injuries. Apparatus for critical care, dressing wounds, IV equipment, cast surgery, etc. are stored in such medication carts. These are the most commonly used in every hospital for all kinds of treatment procedures. Anaesthesia Medication Carts: In a surgery room, these medication carts are essential. These carts store all the anaesthetic medication including even the restricted ones safely. This way you can be sure to not get all the medication mixed up. Isolation Medication Carts: There are isolation units in hospitals to admit patients who have infections or ailments that can spread to other patients. For such units, there are separate isolation medication carts as well which are coloured in bright yellow to distinguish them from the rest of the medication carts. 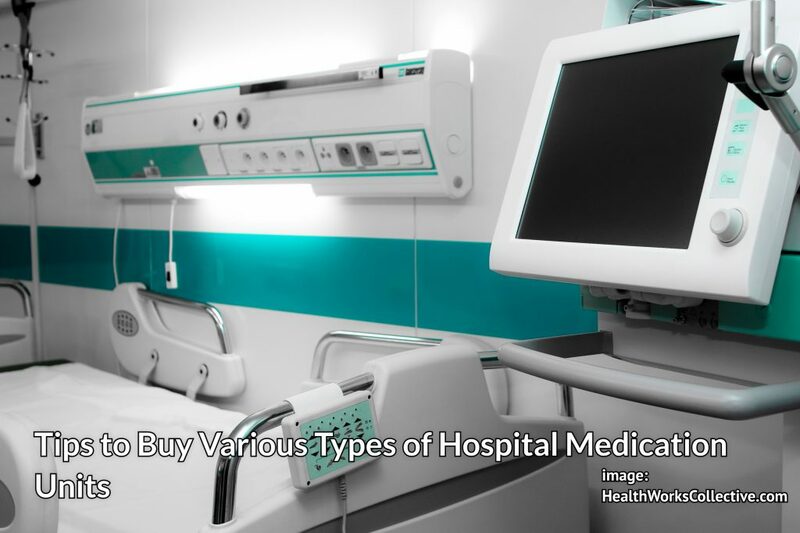 Choose a well-known company to buy medication carts. Always prefer a company which has been into the business of manufacturing medication units for several years. Refer online reviews. Never underestimate positive testimonials and feedbacks and never ignore the negative ones. Check the features that the cart has and compare it with the products of other companies. Always make a well-informed choice. The same goes with the prices of the cart. Compare prices and then choose the best quality deal. As buying hospital medication carts is a huge investment, focus on quality and utility. Ensure the carts are made of durable material. Ensure that there is a warranty provided by the manufacturer company as well as there is a replacement policy in case a defective cart is delivered. Ensure that the company offers after sales services. Look into all the features of all the types of hospital medication carts and then finalise based on your requirements. Make sure that you visit the seller in person and look at the features of the carts. The details mentioned online and the picture illustrations may vary than the original model. So, it is always advisable to ensure the quality and style yourself before buying.